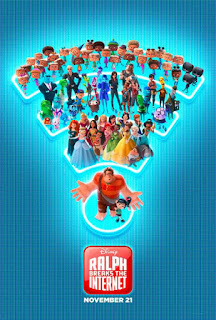 RALPH BREAKS THE INTERNET: WRECK-IT RALPH 2 leaves Litwak's video arcade behind, venturing into the uncharted, expansive and thrilling world of the internet - which may or may not survive Ralph's wrecking. Video game bad guy Ralph and fellow misfit Vanellope von Schweetz must risk it all by traveling to the world wide web in search of a replacement part to save Vanellope's video game, Sugar Rush. 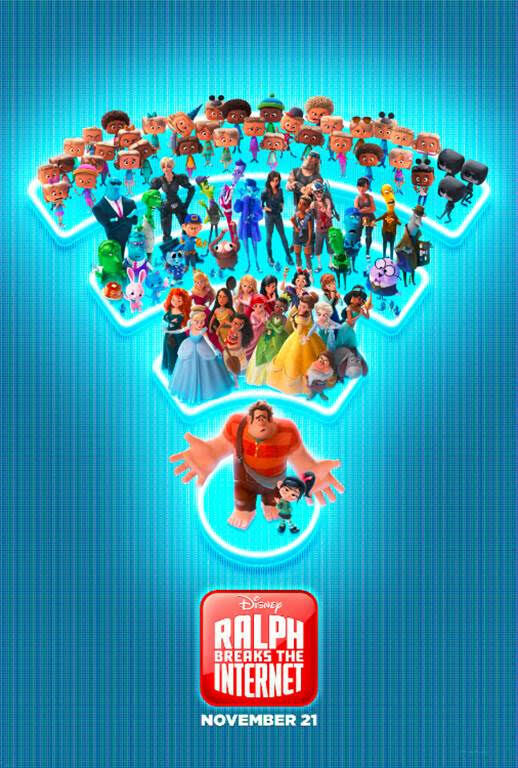 In way over their heads, Ralph and Vanellope rely on the citizens of the interent - the netizens - to help navigate their way, including a website entrepreneur named Yesss, who is the head algorithm and the heart and soul of trend-making site "BuzzzTube," and Shank, a tough-as-nails driver from a gritty online auto-racing game called Slaughter Race, a place Vanellope wholeheartedly embraces - so much so that Ralph worries he may lose the only friend he's ever had. The first one was a favorite of ours. I'm sure this one will be just as fun.